Moving to Old Oak Common NW10 | Top Services Call Us Today! Office removals services are something that every business owner who runs an office thinks about at some point. It can be relocation to another premises in Old Oak Common, NW10 as well as doing so because the business is expanding and with having a great deal of experience in the removals business, we understand the importance of being able to move everything swiftly and efficiently to make sure there is minimal disruption to your trade. All our moving services at Moving Service are treated equally and each case is dealt with bespoke making us the premier experts in the Removal industry in London. Contact us today for a no-obligation quote on 020 8746 4402 and find out more about how we are able to help you move! The area is based in North London Borough of Hammersmith and Fulham, with the postcode NW10, and comes in between the London areas of Acton and Harlesden renowned for its railway depots. In the mid 19th Century, the area was very popular for Pig farming. 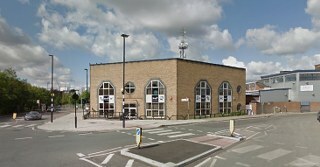 Originally, it was a stretch of land defined by the northern source at Stamford Brook. A lot of train junctions split at the area, making an interchange to get to other places across the Capital and even surrounding Home County areas. There is a proposed station to come about through Crossrail Interchange, hoping for a High Speed 2 rail to Birmingham. The GWML regular passenger service is used predominantly by empty coaching stock and freight trains with just one day a week between Gerrards Cross and the area of Paddington via West Ruislip. In summer 2011, the local council launched a Park Royal City plan that included the proposed station, with light rail lines to the nearby areas of Sudbury, Ealing and Acton. Regeneration in the area is being considered to introduce a shopping centre and office spaces. Sometimes expansion of your business means that you may even be buying new things to install and fit into your new place and not sure about delivery by the company. They may be offering a service that isn’t to your liking or you may want to hire a removal company in Old Oak Common, NW10 that you already know. Being a reliable company with affordable prices that prides itself on a quick contact point meeting all of your removal services requirements, we provide tailor-made moving checklists to be able to facilitate and speed up the process, so that you and your clients don’t have to pay the price for being in-between places. Our moving vans come in all shapes and sizes, as we are fully aware that items such as large board tables as well as filing cabinets take up a lot of space and need to be handled in a certain way, in order to reach their destination, correctly. We take exquisite care of your goods and ensure that we work in a speedy fashion confirming your move to be hassle free, leaving you to focus on attracting and retaining business, which is always your main concern. 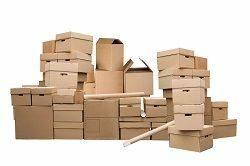 Moving an office around Old Oak Common is a stressful time already with everything you need to get done, let us here at Moving Service lend a helping hand and prepare your new premises for a brighter future! Phone us today on 020 8746 4402 to inquire more about our removal services.